I focus on eating all of the perishable stuff at the restaurant, the noodles, the sprouts, the beef…then I take home the leftover broth (and sriracha)! I usually have a lot left. Then I throw that on the stove, boil it, and add NEW NOODLES! 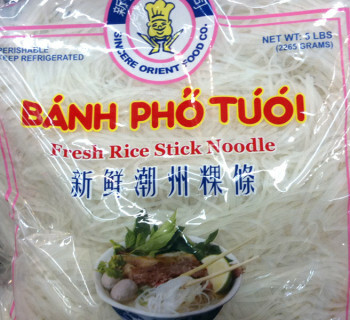 I buy rice noodles from the store for so cheap. Sometimes I’ll go all out and add more sprouts, meat, jalapenos, etc. But mostly I’m just excited to get more pho broth! But yeah, I do get weird looks from the waitresses. Clearly Sarah intended to take home leftover pho before she started her meal. This fact alone may have helped her be more "aware" of what she'll eat in the restaurant and what she'll leave for later, thus, consciously or unconsciously, it may help her better "preserve" the leftover. Anyway, with pho there are always personal preferences such Sarah's eating all the solids (“perishable stuff”) at the restaurant, but I just want to point out that everything in a pho bowl is meant to be eaten and enjoyed together in one sitting. 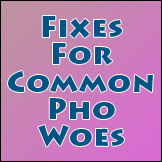 It’s what makes pho what it is and why people love pho so much. 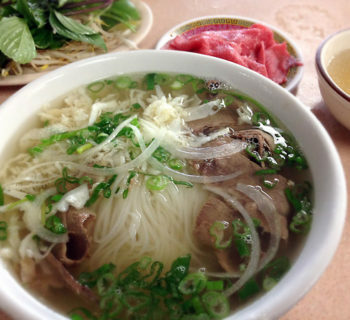 Like many other dishes, pho is meant to be enjoyed at the right temperature, freshness, doneness, etc., and that's right after the hot broth is poured into the bowl at the restaurant. This is why in pho restaurants, they don't pour hot broth into bowls and let them sit. They have to serve right away. 1) By the time you finish with the noodles and meat in the bowl, what liquid and particles you have left no longer taste like fresh pho broth even if you reheat it; the taste profile has been vastly changed from what pho broth was (you know, all the stuff that came out of the meat, the lime, the noodle itself, all the sauces you added, and the sprouts and Thai basil, etc.). See the accompanying photo? 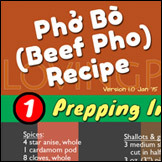 Fresh pho broth is not murky and reddish like that; it should be clear with some brownish tinge. 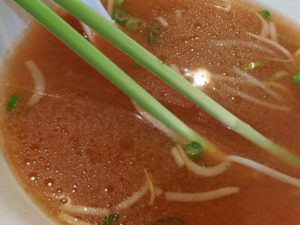 2) Many Asians think of leftover broth (whether you’re talking pho, Japanese ramen, or the numerous Chinese noodles in broth dishes) as akin to dishwashing water, and as such there is not even a remote possibility to re-eat it. Regardless, there is no way you can eat all solids in a bowl of pho. There are always bits and scraps of noodle strands, meat, vegetables and all kinds of particles floating in the broth, swelling into mush when you finally get to it later. Maybe it's an Asians versus Westerners thing, but that’s what the weird look from the waitresses is about. A better suggestion I have is, since Sarah didn't mind the added expense and trouble of getting new noodle and other ingredients, why not spend a few dollars more at the restaurant to buy extra fresh broth for take out? This way you can enjoy the full and awesome pho experience at the restaurant while properly satisfying your pho fix later at home too! By the way, many pho eaters actually order extra broth on the side with their pho at the restaurant. 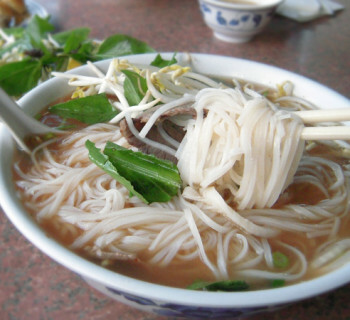 Many pho restaurants charge nothing extra, while others may add a small fee. Either way just offer to pay something extra for the trouble, and you get your broth to go the right way. Mission accomplished! If you haven't already, please give your opinion in the poll below. 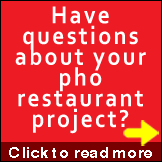 Check out my other post "Are You Taking Home Leftover Pho in Takeout Containers?"